Spring has sprung, snowflakes are gambolling in the streets, sunlight is finally reaching the extremities. Perseus has returned from a sojourn on mainland China to pour vitriol on my flames, no more aching side abs for he at the moment. On St. Valentine’s Day the earth moved for thousands of the residents of Surrey. Tremors were felt, and the estate agents of this delightful county were finally able to tell prospective buyers… “this is where the magic happens!” Apparently in those sleepy hollows, the age-old tradition of chucking your keys in a bowl continues with seismic consequences, measurable on the Richter Scale. Was it an earthquake, was someone at it with a ‘jackhammer’, did they chip a tooth, or just drilling for oil? Surrey residents, answers on a postcard please. I will reply on a self-addressed envelope SWALK! Normally when writing these love letters to my faithful readers, I am hunched over my laptop on a flight to somewhere, from somewhere, or on a slow boat to China. Invisible Touch by Genesis playing in the background… It will become translucent later on! However, on this rare occasion I am relaxed, dare I even say, mellow as I stare out over Victoria Harbour in Hong Kong, tapping away gently at my keyboard from my stunning room at The Murray on Cotton Tree Drive. Recently opened and in all its glory. Slightly boutiquey, slightly edgy, youthful in its opulence, traditional in its values. The views of the city from Popinjay’s restaurant on the 26th floor are truly breath taking. There we go… the plug for this edition is out of the way early doors Johnny Mac. I move on to matters of fashion, as this is what I am purported to do! The summer collection this year draws heavily on the latex theme and involves more than the gossamer touch of the Emperor’s new clothes. Part of my inspiration were the products made by two giant, global brands. My first inspiration was Harmony hairspray with its firm, invisible hold, because is he, or isn’t he wearing it? Secondly, my heartfelt thanks to Du2ex. No Emperor’s wardrobe would be complete without an outfit for the bedroom, modern Hugh Heffners take note. In collaboration, they have produced the perfect companion for the bedroom. I introduce; the Du2ex invisible, no latex, slightly or unsightly it’s a case of is he, or isn’t he wearing one? The Memberor will be perfectly attired in all his Morning Glory. It may not be for everyone. My membership remain as avid fans! I will finish on a cleaner, fresher note. The bathrooms at The Murray are fitted with a Japanese style toilet that have a remote control and a heated seat. Imagine my surprise when I managed to get Netflix and chill! Copyright © 2019 Adrian Holdsworth. All Rights Reserved. This is a long one. Best to get that out of the way to begin with! So much has happened this month. My, my, haven’t you all been so busy. It must mean the economy is on the way back, or you’ve all got so bored that some of you are actually doing something, asides from working. OK, slight problem, should I start again or just continue? Sam didn’t go to Paris, we are on the same flight, but as of yet we haven’t started drinking. I think we’ll take it easy and relax and catch up. We’re both going to have some work to do, and how else am I going to get the newsletter out? It is great to have Sam along, even if it’s so he can’t complain that it may be late. At least this time it might be his fault!!! Anyway, I’m on the plane and only 11 hours to save the world! OK, OK to write the newsletter. It’s just that the former sounds so much more dramatic, and you know how I like a drama. And now the damn seat is broken, it’s completely flat and I’ve got to go and stand in the galley whilst they try to fix it at 2am, in the dark, with a toothpick. I should be catching up on my beauty sleep, wrapped up in my duvet, in my own individual little booth. What am I doing in Hong Kong? I hear you all ask in unison. Am I standing on top of a tall building in a typhoon? No really, you should see the video. A typhoon No. 8 signal passed through, so after dinner we strolled up onto the roof at David Tang’s Bank of China Restaurant to watch the passing typhoon. I was Batman to Hong Kong’s Gotham City. Oh, Adrian do get over yourself and the fantasy world in which you live. No really; working is my response. Not to find new suppliers, as someone cruelly suggested. I am doing this for a friend who trusts my judgement. He has asked me out here to make suits for his wedding. Mountain brought to Mohamed, perhaps. Fool? Clearly, but I won’t have a word said against him, and his fiancé has made it clear that she thinks I’m completely mad or worse. We’ve met, only the once, and since then she has avoided me. It was the pale blue suede jacket for a stag weekend he was going to in Ibiza that did it, very “Miami Vice”. Well it would, wouldn’t it? I did put him Neil’s way if he was in need of a tattoo. Talking of Neil, there was a picture of him and Scratch (his faithful canine companion) on Facebook, sunning themselves on a beach. He said he was only there a couple of hours, but I did notice a darker hue to his skin whilst chatting on Skype. He can still be such a rebel. I shall try to get there at some point and have my name engraved somewhere so I don’t forget who I am. Neil doesn’t do “shades”, nothing beats a good glare, and Neil can glare with the best of them. Sometimes I think he really enjoys scaring prospective customers by staring at them, or it might be a test. If they can withstand his withering glance, then they are able to the pain that will follow as he wields his needle! Sadly Neil will be in London this weekend, at some celeb wedding or other. So we will miss each other. He will arrive with Ryanair, and stay in a tent in a field, I will not. He didn’t like that. I didn’t realise he was getting married. I was in Florence 2 weeks ago for Pitti Uomo, a menswear trade fair. Given my comments about the state and price of accommodation there in the past, I was pleasantly surprised. OK, I happened to be staying there at the same time as Madonna, who I must say made a real pest of herself, by knocking on my door all hours of the day and night, a la Peter Cook and Dudley Moore. I stayed in a very inexpensive bed and breakfast called Relais del Duomo. It was great, even though it was 36C outside, I didn’t even need to use the air conditioning! Clean and tidy, central and importantly very quiet, well apart from the bells of the Duomo. Really, if I want to be woken at that time I have Sunil. He, who lives in a different time zone to the rest of the world, compiled of 24 hours of work and 1 hour of sleep. Except Sunil don’t live int shoebox int middle ot road (Yorkshire accent). I normally set the alarm to wake me, but Sunil can be guaranteed to pre-empt it by at least a couple of hours. 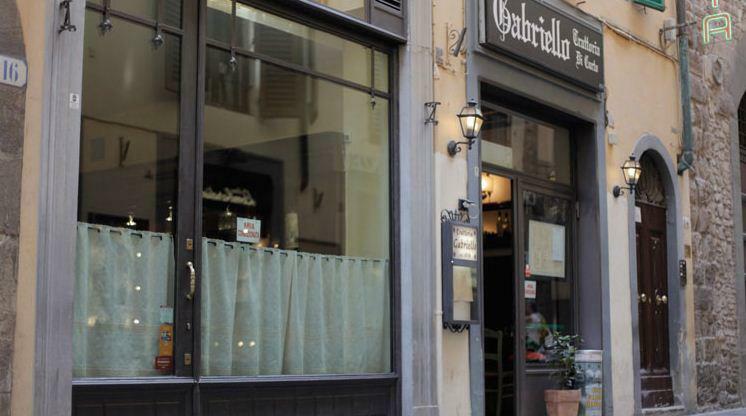 Now I have a recommendation for you if you are travelling to Florence, it is a restaurant called “Trattoria Gabriello” and it is in via della Condotta. The owner Rita is wonderful. It seems to be one of the few original trattorias left in the centre, and at least there were some locals eating there, and not just infested by tourists like myself. I’m a snob like that, always a tourist, never a traveller. I ate there on Tuesday and the food is simple, and well cooked. She was being helped by her best friend Alessandra. We should all have friends like Alessandra, she took the time to talk to, and make everyone feel very welcome, whilst helping Rita because she wants to. Perhaps “Ale” is not the best waitress in the world, but she has other skills, she says she is working on her English, I feel, that with a little practice she’ll be fine. She also says she is a great driver, the scar on her forehead and the photo of her “totalled” Porsche on her phone may tell a different story! Dear Michael was in Italy at the same time as part of his gardening leave. He went to Naples to see some friends and improve his Italian. We would chat by text, his main preoccupations appeared to be the heat, and why he wasn’t going brown. The feet of an albino cadaver were the words he used on the day before he left. However, I feel the highlight of his trip was the fact that these feet and his legs made a cameo appearance alongside Rod Stewart and Penny Lancaster in the Daily Mail, now only if they lived next door to him, what treats would lie in store for them! Michael also has a very sweet tooth, but he is a cheap choccie kind of man, more “Fruit & Nut” than “Charbonnet and Walker”, and that says more about Michael than you can imagine. But he arrived back in London clutching a box of chocolates for us from a shop in Naples called “Gay Odin”. As Gillian said, I’m not sure what the Norse God’s reaction to being called gay would be. Now in every box of chocolates, there is always one! This box, full of Michael’s specially selected goodies contained the worst chocolate I have ever tasted. Each of us who tasted it, curious to the others reaction, was the same. It was made of dark chocolate, so no problem there, but when you bit into it, your mouth was filled with Brut 33. It tasted like the after shave and it smelt like the after shave, all that was missing was Henry Cooper saying “Go on son, stop coughing, it looks like you’ll splash it all over”. In Italy they put liquers into all sorts of strange shaped bottles in order to trick you into buying them. Being from Naples I expected this chocolate to be filled with Limoncello, not Brut. After reaching for and finding the wrong bottle to fill this handmade confection, perhaps Giacomo is out on a date somewhere, the faint smell of lemons upon his cheeks. I must ask Michael which he prefers. And finally congratulations are in order to Eugenia for getting engaged, I know she will be very happy, and finally to Greg the “Cougar Magnet” as well. He has found someone younger to be with and Farah is beautiful. What did you put in her drink, I must try it myself….. Thank you, thank you, thank you for the largest ever response to a newsletter: the tribute to my friend Richard Pulford. There were so many kind memories and so many fond words. For this I thank all of you. Your words of comfort have been passed on to Richard’s family. It’s that time of year when tumbleweed blows down London’s empty streets, and this year, I’m here instead of basting in Ibiza. Many of you have joked quite how much I don’t enjoy the Sale period, but you’d be wrong. It is important for me to quietly hide the mistakes I have made during the year. Fortunately, I am learning, and after twelve long years there are only two pairs of the acid yellow cords left. Perhaps I could arrange a riot, a little looting, some lightning, and they might vanish off into the ether with my remaining stock of jeans. What else is August in London good for? Anyway, Shane and family were here from Hong Kong (and at least his out of office reply meant he was coming to see me). And doesn’t he look boyish these days? A new haircut and glasses in order to make him look more grown up? Perhaps I should explain to Katie (Shane’s wife) they have only made him look more angelic, although I’m not entirely sure it is a word I would normally use about Shane! They’re all off to some detox retreat in Ibiza but how detox and Ibiza go together I will wait to hear. Ollie, who has also been in Ibiza, has just returned and he’s not happy. Left only with the clothes he was standing up in, he single-handedly boosted the Ibicencan economy, in order to feel that he fitted in at every event he was attending. He and his luggage parted company at City Airport on the way out, and were reunited only after his return to London. The offending piece of luggage had visited seven European cities before its return, which is more than my wayward friend Mark will be doing with British Airways. Still barred, Mark continues to travel the world in search of new thrills. This leads him further and further afield, searching for a recently filled mini-bar and a maid that he hasn’t already unconsciously surprised in a strange and unusual way. I have another friend who has taken to wearing glasses with normal lenses in order to lend him an air of intellect and gravitas. I’m not sure he wasn’t wearing specs before and has reverted to non-prescription lenses, because life through the correct prescription was just too frightening. This year I have had to start wearing spectacles so I can thread a needle and it has added an entire new spectrum of accessories to my wardrobe. As you could predict with me, the collection is growing rapidly. Soon I will have spex for every occasion. Perhaps even extra-spesh-spex that I will wear to choose which ones I will be wearing today or to look for the pair I’ve just put down or trodden on. I’m still searching for the pair that will make me look more brainy and more important. Andre calls it gravitas but he pronounces it in a vairy particular way every time we meet. One or two of you are still trying so hard to get a mention: remember, actions always speak louder than words. John kindly brought back a bottle of wine from Emanuele in Bologna, and Matthew sent me something made by Brasso to polish my gadgets. Oh, please! But the prize is taken by the couple travelling to Venice on the Orient Express who were trapped in their cabin paralysed by OCD, only to be released once the number of railway sleepers they had counted exceeded the 1 million mark. I sympathise, as I often feel I’m being followed, and the only way throw the stalker off the scent is to keep off the cracks in the pavement while shouting Macbeth. I have got used to people staring, but then, don’t they always? However, let me finish on a positive note for Jake. Wolves have topped the table a few times already. The season is young, but Jake has handled his glee with maturity: the screaming and punching the air have been undertaken when customers are not present, or at least when he thinks they can’t see or hear. If only he could share Mick McCarthy’s pragmatism, but that’s why Jake is a supporter and dreams of Europe next season. Sorry, buster, but if you think I’m giving time off to go to away games in Estonia, think again. As we are well into January, how many of you made New Year resolutions? And did you keep them, stumble from the course, or fall spectacularly head first into the gutter? So the iPad is perfect for my insomnia. I promised myself it wouldn’t take over my life, and yet here I am writing the newsletter on it. It just keeps me awake longer. OK, so I’ll sleep when I’m dead. You can spend the small hours searching for apps, most of which you’ll never use. But it means I can lie on the sofa tapping blindly at the screen, whilst watching the news in 15 minutes, every 15 minutes. So between 2.30am and 6.00am, I get to hear about Silvio’s Ruby blues 14 times, oh joy. Now some of you have complained about the brevity of my January teaser. Shame on you, I had the VAT return to do, and some of you should know better. Yes Greg, I mean you. You begged to be on the mailing list only to complain bitterly that the teaser wasn’t long enough and then regularly bring your mother in to torture me. But what goes around comes around. She kindly explained how you had removed your trousers in front of an Upper Class Virgin, the words might be slightly jumbled, but worse was to follow: your mother mistaken for your Cougar? As you said, does she look younger, or do you look older? Anyway back to Silvio, which seems the most unlikely side of him the Italians will see. It’s a case of the devil you know, but it appears that even Papa Razzi is starting to flag, or perhaps lose track of the indefatigable appetite of the diminutive ex cruiseship crooner. And I use the word diminutive with pride. I too, am diminutive. OK, I won that bet. I managed to use that word 3 times, so much for drinking games. I play them with decaff espresso shots (just ask Jake), rather than alcohol, just to keep me awake. It is rumoured that Kiefer used to play a similar game whilst filming 24, damn it Chloe! “I’ll have another Jack Daniels”, before wrestling a Christmas tree to the ground, trousers round his ankles. But he showed he was a gent, by offering to pay for the damage. OK, it’s not quite in the league of Charlie Sheen, or my personal favourites Robert Downey Jr driving his Porsche naked and throwing imaginary rats out of the car, and my friend Martin snorkelling naked in the snow in Verbier, and yes there is photographic evidence. Guys, some of you have some serious catching up to do. However I bumped into a friend, who we will call James (because that’s his name). I was leaving The Wolseley after a hearty breakfast with Don, a close friend who once nearly laid waste to Keira Knightley, but that’s another story. James was always a bit of a party animal and after having been “driven” in his Gallardo, driven been the description I will give the experience. James was in London for a 3 day bender, because: “the bright lights of Geneva, just weren’t bright enough any more.” At this point he was starting to flag and was craving coffee and a large eggs Benedict, I could have stayed to see the outcome, but I just had to be somewhere else. Like the drinking games, I could try to start each paragraph with a letter that in some special code would make a word. No, stop trying to work out some hidden meaning in mine, before long you’ll be trying to play your old LPs backwards in an attempt to conjure up the devil, and I left Silvio where he belongs, a couple of paragraphs ago. It’s 3.30am and I’m now too tired to even try and be clever. Settle down at the back. I know what you’re going to say and it’s neither clever nor funny. Sam passed through London this week and managed to pop in for a few hours between flights. Bangkok-London-Hong Kong back-to-back in less than three days. As you said mate, I wouldn’t normally use that expression, but he’s an Aussie, “living the dream”, or perhaps 11K a year and £2.60 an hour is just too tempting. Big up Willie Walsh and the new cabin crew contract. There you go, guys, I got your protest vote in. As you know, I have been in Bologna. 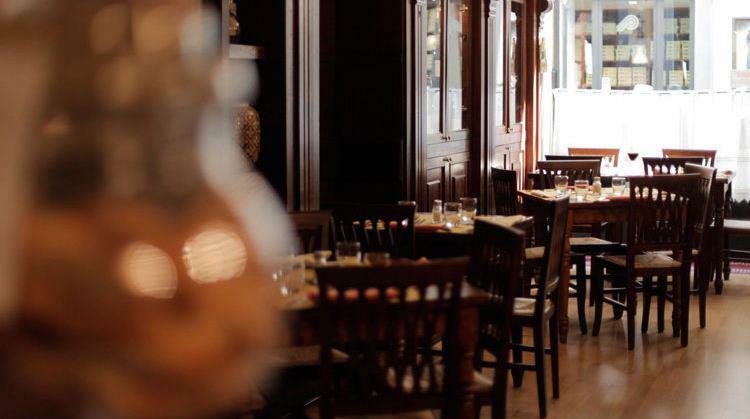 It is still the best city in Italy to eat in. However each day I took the train into Florence for the Pitti Uomo trade fair. A mere 35 minutes or that’s what they tell you, not quite time keeping to Swiss standards. In four journeys, no less than 10 minutes late each time, but as my friend Fabio told us over lunch, it’s the Italian way. Rome to Milan in three hours, or at least in three Italian hours, because it’s a matter of pride that it just has to be 3 hours. At Drogheria della Rosa Emanuele did us proud. Greeted like long lost friends, fed and watered within the limits of my waistband. After Sunday lunch we staggered to the airport clutching a white truffle. Emanuele has made his special kind of dining experience: his food, wine and company of the highest order, all rounded off with a semifreddo. Excuse me, titter ye not, did I hear Frankie Howerd? Product of the month is the X-mini speaker, which I use for my iPad. Jake’s bored with this, but they are awesome and I suspect he’s slightly envious. We wuz robbed, I tell you. And I’m not talking about the Budget, of which more later. Like Don Fabio, I’ll brook no dissent. Mi casa, my rules. We were much the better side. Just look at the statistics and you know my thoughts on that. Apparently Capello sent the team on to the pitch with the rousing cry: ‘Let’s make English football history.’ I feel that got lost in translation. It seems even Paul the psychic octopus from the Sea Life Aquarium predicted a German win. Yeah, well let’s see how he fares against Spain where they like fried squid rings. But as I said we were so much the better side; even my wife agrees and as I know by now, she is never wrong. There was a moment during England’s nail-biting journey to oblivion on Sunday night when she shouted: ‘Lamps’ at the TV. I share Don Fabio’s dislike of infantile footballing nicknames, and unless she was describing what she wanted Fat Frank to do to the assistant referee, then divorce beckons if she ever uses such a word again. And I’ll sue for alimony if she says Wazza. Still, there are upsides to Sunday’s match. The WAGs were waiting until this week to go out so no pictures of them shopping and falling off bar stools. And the James Corden’s World Cup Party may be in for an early bath which means an end to the canvassing of opinions of such football geniuses a Pixie Lott by a smug fat bloke in a suit two sizes too small for him. I’m with Patrick Stewart there. As you know at the end of May I visited Rome again. This time it was just for the day to visit a shoe wholesaler who refused to deal with me over the phone or via email. What strange world we live in. It’s right up there with: ‘The donkey’s sick, so I can’t get the parcel to the UPS office.’ Yes, a supplier has used that excuse. However it wasn’t an entirely wasted trip, I ate a decent lunch and spent some of the day with one of my best friends Max Pietrolucci, and even did a little sightseeing. However a journey I will be making this month will be back to Ibiza. Those of you who think I have a home there, sorry to disappoint, and if I did, no you couldn’t use it. Also for those of you who have attempted to photograph me under the influence of something that isn’t wheatgrass, waving glo sticks like a five year old would sparklers, again you’ll be disappointed. Neil “the tattooist” has informed me that he will go back to doing stars, geckos, dolphins etc, because as yet I have not agreed to have the roof of the Sistine Chapel in miniature on my back. He has also offered both Eugenia and Carla summer jobs as his receptionist, and I don’t believe it, they are contemplating accepting. Now Eugenia has “previous” for this kind of arrangement. All I can say to her is remember what happened last time. Not that I’m not going to dwell on it but yesterday’s referee Jorge Larrionda also has “previous” for “over the line” incidents. In 2004 he deprived Brazil of a winner so they drew 0-0 with Colombia in a World Cup qualifier. He once told an interviewer “I hope I never see the day when technology arrives that can help or replace the job I do”. Also in 2002 he was suspended by Uruguay’s FA for unspecified alleged irregularities that meant he was unable to officiate at the 2002 World Cup. Not that I’m bitter. A thank you is due to Matthew who bought me some chocolates back from Bologna, a kind and unnecessary gesture, but he is a kind and thoughtful chap. I thought he’d go far, but then flattery and presents always bring out the best in me. The latest 3D gadgets wouldn’t go amiss. This month we also lost Sam to Hong Kong once more. The family soon to follow and I must admit I will miss Xavier’s Saturday morning attempts to total the Ferrari. Sam and Claire be warned, let him loose with a Playstation before he gets his hands on the real thing. The new Test Drive game will be based in Ibiza, so next year it will be full of kids, driving dad’s Nissan Micra lit from underneath with blue neon, ear splitting music blaring from open windows. So nothing will really change. Oh dear, I do sound old. Now, my friend who has admitted in the past that he was a suit short of a week still is according to him. He feels that a racy little linen number to complete his collection of linens would fit the bill. Not that I want to turn away business or condemn excess in any way, because that would be commercial suicide. I just don’t think that he’s likely to have five consecutive days of sunshine in this country. Apologies, this week has proved me wrong, but mark my words it won’t last. The customer is king has always been my motto; or one of them. Maybe I’ll make a list of my mottos and add them to next month’s newsletter. So were you a winner or loser in the Budget – or more accurately, a loser or a really big loser? I’m still mulling it over so I’ll hand over to Sheherazade Goldsmith, the gorgeous ex-wife of billionaire Zac, newly-minted MP for Richmond. It would be vulgar to speculate on the sheer tonnage of Mrs Goldsmith’s divorce settlement but it’s clear that even she feels some belt-tightening is in order. ‘If you grow your own raspberries, pick them and make them into jam, it’s a very satisfying feeling,’ she said recently. A sentiment with which we can all agree, and as English as a World Cup defeat. For those of you who have asked about my mystery “celebrity”. Well, he is currently staying on at the World Cup owing to a promotional role. I felt it would be too cruel to ask which particular animal he would be dressed as, but it would certainly need to be one of the veldt’s larger inhabitants, if only to accommodate his ego. He has been muttering about how poor Brien Blessed’s contribution has been, well at least his voice will be heard above the vuvuzelas.